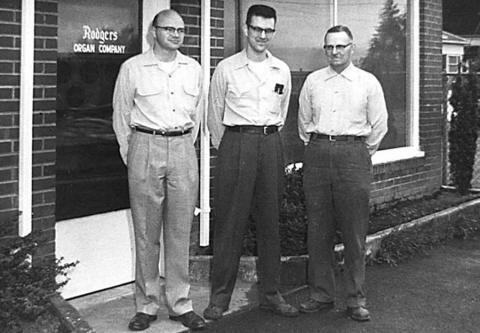 Two visionary engineers and organ enthusiasts, Rodgers Jenkins and Fred Tinker, originally founded Rodgers Church Organs in 1958. The company’s focus was helping make the transformational power of the American organ more accessible to churches, colleges, performance centers, and players by embracing advancements in technology. From this dedication to serve and passion for elevating the human spirit through music, Rodgers was born. 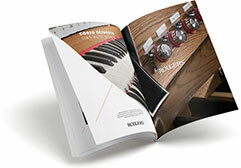 Decades later, Rodgers Instruments is unwaveringly committed to our founder’s vision. Every member of our team brings an expert level of craftsmanship, attention to detail, and devotion to faithfully creating a true American pipe organ sound that is beyond expectation. Rodgers aims to build the finest digital organs available, for any setting, each and every day. With faith, hard work, and dedication Rodgers has led the way in innovative digital and hybrid pipe organ technology. Highlights include building the world’s first all-transistor church organs, successfully creating the first pipe-electronic hybrid organ, and being the first company to use microprocessors, MIDI and USB storage in church organs. Rodgers has also created magnificent pipe organs including the world’s 17th largest pipe organ with over 10,000 pipes installed at Second Baptist Church in Houston, Texas. Rodgers continues to push the art of organ building with the goal of faithfully delivering the emotionally and spiritually lifting experience of the American pipe organ sound to a new generation of performers and audiences around the world.